Continuing California’s groundbreaking effort to better treat and prevent diseases through advanced computing, Governor Edmund G. Brown Jr. and UC San Francisco today (Nov. 15) announced six new projects have been selected for the California Initiative to Advance Precision Medicine (CIAPM). “These grant winners will harness the power of advanced computing to better treat and prevent diseases,” said Governor Brown. Precision medicine aims to use data-driven tools and analysis to develop new diagnostics, therapies and insights into disease. Last year, California became the first state in the nation to launch a precision medicine initiative when Governor Brown announced the creation of CIAPM. Through this program, California is developing demonstration projects that harness the power of advanced computing to better diagnose, treat and prevent disease for all Californians. Improve the early treatment of prostate cancer through a complex assessment of patient characteristics, cancer severity indicators and genomics (principal investigator: Sheldon Greenfield, UC Irvine). Help patients better manage chronic conditions, such as high blood pressure and depression, by gathering personal health data through their mobile phones (principal investigator: Nicholas Anderson, UC Davis). 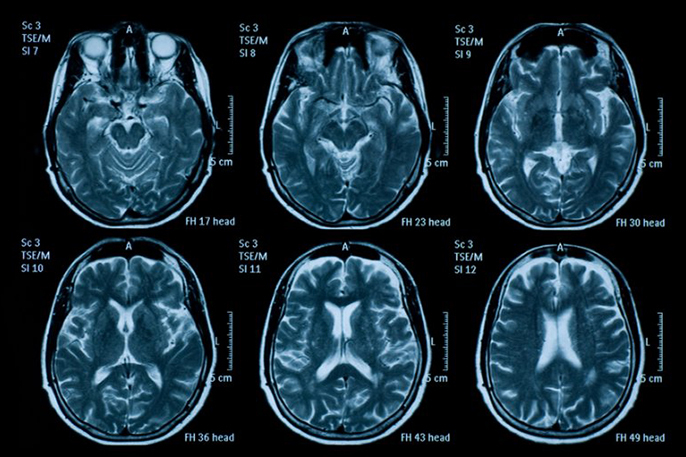 Speed the diagnosis of traumatic brain injury, stroke or aneurysm by applying state-of-the-art artificial intelligence technology to computed tomography (CT) scanning (principal investigator: Pratik Mukherjee, UC San Francisco). Create a catalogue of DNA variants to better understand harmful mutations and better identify the causes of disease in children that suffer from difficult-to-diagnose conditions (principal investigator: David Martin, Children's Hospital Oakland Research Institute). Combine several types of clinical data and real-time patient data in an interactive tool that patients with multiple sclerosis (MS) and doctors can use to better predict how the disease may develop over time and what can be done to improve outcomes (principal investigator: Walter Stewart, Sutter Health). More quickly identify the early signs of cardiovascular disease by, among other activities, providing patients with specialized watches that transmit sleep, heart rate and other health data to their doctors (principal investigator: Brennan Spiegel, Cedars-Sinai Medical Center). UC Health and UCSF host CIAPM with the Governor’s Office of Planning and Research. Each grant awardee is eligible for up to $1.2 million in grant funding, which will then be leveraged with other non-state funding sources to complete the projects. In addition to developing demonstration projects, CIAPM is conducting an inventory of California’s vast technological and medical resources that make precision medicine possible. The 2016 Budget Act includes approximately $10 million for the CIAPM. For more information about the California Initiative to Advance Precision Medicine, including further details on selected projects, visit www.CIAPM.org.